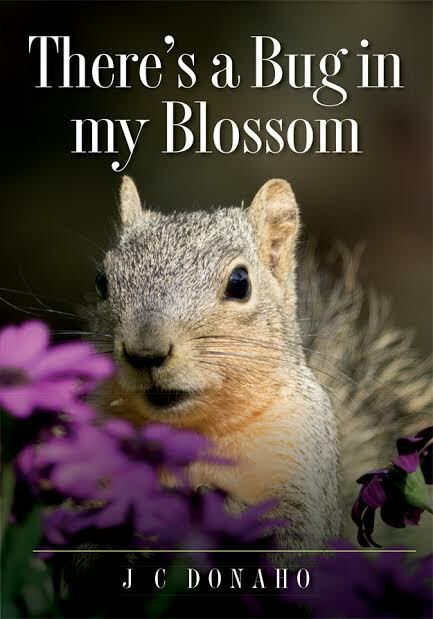 With its gorgeous and brightly colored photographs of bees, spiders, lizards, squirrels, grasshoppers, ladybugs, and loaded with interesting information, this book dazzles, entertains, and educates. (Did you know that a praying mantis has a single ear that is located on its belly? I had no idea! )There’s a Bug in My Blossom is one of the first picture books that I can read to both my four-year-old son and my 11-month-old son at the same time. It is a glorious experience to have my baby, my child, and me all enthralled. This is a book that can be as much or as little as you need it to be. Sometimes I only read the right side of the book, which is written in very simple and straight-forward way, to the baby. Sometimes I read the left side, which is much more detailed, to my four-year-old son. When I’m reading this book to both of them, I can improvise and read from the right and use the left to answer questions that my son has. My son will ask his typical ten gazillion questions while reading and I can answer him without having to go to the internet. I’m very impressed that almost all of the questions my son asks while reading can be answered in this book. Below you can see my son’s favorite page from There’s a Bug in My Blossom. I was so impressed with this book and the pictures that I emailed the author to ask him more about it. He was taking pictures of flowers and noticed that there were bugs in almost all of the images. His friends encouraged him to make a book of his photography. Being an educator himself, among many other things, he decided to create this book and make it a beautiful and educational one for children. I’m so glad he did! I’m impressed with how he took such a small thing as noticing a bug in a picture to creating a vibrant and delightfully educational picture book that my whole family loves! All Ages. CreateSpace Independent Publishing Platform. November 2014. 52 pages. ISBN: 978-1493604067 Nonfiction. [Library] Worldcat.org — Request Your Local Library to Buy a Copy! It deftly displays how beautiful bugs and insects really are. It does a great job of fostering a love of insects and our natural world. This book features mainly common insects and animals. I love that after reading this book we have an additional connection to our world that we might otherwise have missed. This book can be read for years and years and years to come. I wish this book was published in that crazy new indestructible paper they have for babies — because this book can be read at every age and always be interesting. I fear the paper will wear out long before the interest in this book does. It will inspire anyone who reads it to pay more attention to the natural world around them. My son has even asked me to start taking pictures of the bugs we encounter. He has also been asking me the names of various bugs that we come across. There’s more to come! There are two more books in the works — one on swamp life and one on zoo animals. Great title. I like any book that inspires children and adults to pay more attention to nature. Lovely review. That’s absolutely fascinating. Not really your average picture book or your average “teach kids nature” book, but a unique melding of the two. Fun! Exactly! I’m impressed with it!